eric started CrossFit back in 2010 and was hooked after just one class. he was so passionate about it, he opened CrossFit Federal Way in 2011. In 2017 he sold that gym, but was still active and passionate about CrossFit and soon realized just how much he missed coaching athletes every day, writing workouts and having direct ownership in something that helped people to find fitness and health in their lives. After doing this for many years and meeting and coaching hundreds if not thousands of amazing clients, the one thing he consistently hears is the regret that people have that they didn’t start sooner. CrossFit changes lives in so many ways... Body, soul and mind. Come see eric and let him give you the gift of CrossFit. marci had a friend that started CrossFit before her and tried for about a year to talk her into trying it. Because of the intimidation factor she shied away. However, the day she came in for her first wod she was hooked...and now she’s a gym owner! CrossFit has changed her life. she always loved working out and participating in numerous different activities from running to bootcamp to swimming, but never found something that was able to keep her coming back day after day. she love the way that workouts change each and every day and you never quite know what you'll be getting yourself into. she also loves that the gym becomes not only a place to get fit and healthy, but is also a place where you make and keep great friends. At Imperial as one of the owners, she’s now excited to share her love of CrossFit with others! trever became a certified CrossFit trainer in New York 6 years ago and currently holds his CF-L1, CF-L2, CF-Gymnastics, CF-Judges, CF- Scaling certifications. Becoming a gym owner has been a long time goal of his as health and physical fitness is not just a passion, but a way of life for trever and his family (wife Dija, twin daughters Kayla and Khloe, and our dog Rx). As a former professional hockey player, trever understand the importance of hard work, technique and doing what you love. he has ongoing energy and enthusiasm for CrossFit and loves pumping people up even through the toughest of workouts. As a gym owner, he’s excited to make Imperial CrossFit a thriving part of the Kent Community. cass played sports through school and was always a member of a gym but never found a gym / sport that she loved as much as Crossfit. she started at Imperial Crossfit late 2010 after her boyfriend (now husband) talked about how awesome it was. she knew quickly that the community aspect was made it so successful and she absolutely loves that. 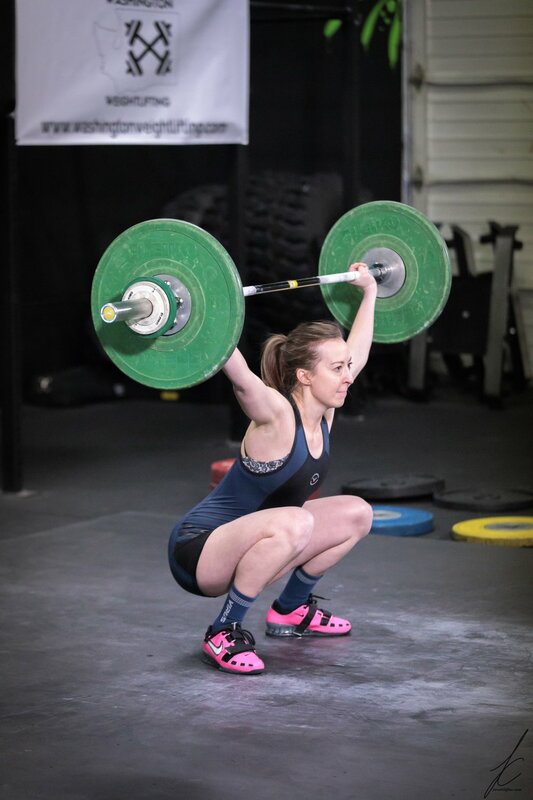 she quickly found a passion in seeing and helping others achieve their goals, hitting milestone after milestone, so she went for her Level 1 in August 2011. she has also received her Olympic Lifting and Mobility Certifications. Loving the sport so much she has competed in local competitions as well as been a judge at the Crossfit Regional Competition several times. she had her son, Liam in 2016 and wants to see him experience the Crossfit community and hope he has the same passion for it that she does! danielle started crossfit in the summer of 2014 looking for an athletic outlet aside from yoga. after her first workout of burpees and box jumps she was hooked. danielle has been teaching yoga for 6 years and exclusively to crossfitters for the past 4. she loves how well yoga and crossfit complement and mimic each other through physical and mental balance. her favorite thing about coaching and teaching is helping others do things they never before thought possible. danielle loves any workout with double-unders, and body weight movements and would prefer to never row or handstand walk ever again. When Shawn’s son was born twelve years ago, he was 60 pounds overweight with high blood pressure and had not worked out since high school sports. Initially he started running and restricted calories to drop the weight. Over time, the running went from a few 5Ks to several 20-mile trail runs a year. The weight dropped as he jumped from fad diet to fad diet but still didn’t have the strength he wanted. In 2013, he started CrossFit to supplement his running. he joined Imperial when he moved to Kent and now he runs to supplement his CrossFit workouts. he’s participated in multiple CrossFit competitions and looks forward to the open every year. CrossFit has brought back his competitive side, something he’s missed since high school sports. 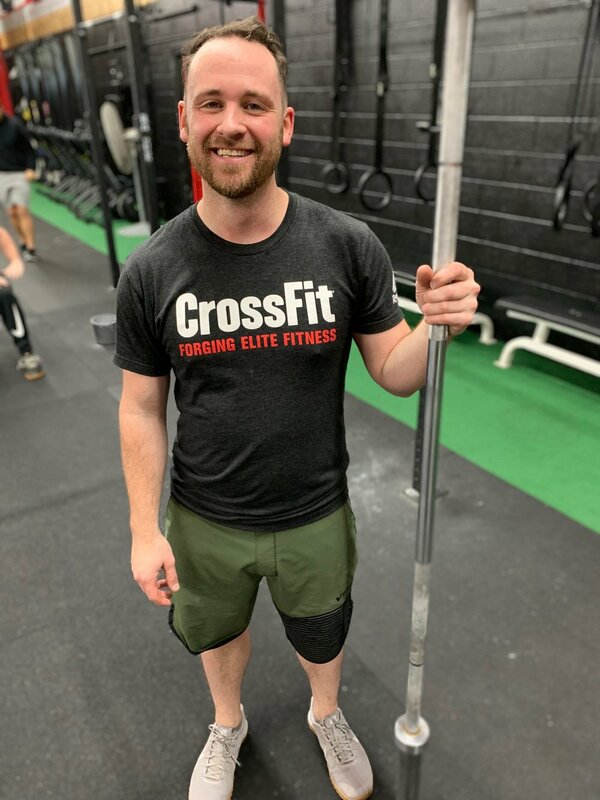 shawn earned his CF-L1 in December of 2017 and started coaching directly after. he enjoys coaching and is extremely passionate about nutrition. morgan started CrossFit in August 2014, when her sister dragged her to her first class. she got her CF-L1 during Snowmageddon in February 2019. morgan LOVEs snatching and box jumps and could live without chippers and WODs that involve running. she loves dropping into CF gyms when traveling and In real life, she is the probation attorney at Pierce County Juvenile Court and an award winning quilter! jules started CrossFit while living in Las Vegas in 2014 as a way to get back in shape. Growing up he played soccer, track, and cycling but took a few years off of sports during grad school. While in college he played music across the country and eventually taught high school and college level percussion to hundreds of students. Teaching has always been a passion of jules’ so getting his Level 1 and coaching was a natural progression after 5 years of training. he’s always open to new adventures like Spartan, Ragnar, Tough Mudder, and anything else athletic. CrossFit has made him healthy and happy and he loves being able to share that with everyone that comes to the gym. Nicole is a certified Level 1 iN3 Certified Nutrition Specialist and Level 1 Certified CrossFit Coach. In training for these certifications, she has developed her ability to develop nutrition profiles for all health and fitness goals. She implements reverse and flexible dieting techniques to increase overall mind and body health, without significantly disrupting her client’s normal daily routine. She is driven by the success of others and is currently pursuing her Level 2 Nutrition Specialist Certification to further develop her ability to facilitate healthy lifestyle transformation. Nicole’s drive to help others has drawn her to the health care industry and she has worked in medical offices for more than six years. Nicole’s other passions are exploring the outdoors and pushing her own personal fitness level through CrossFit. Her love for the outdoors has brought her to the beautiful state of Washington and the CrossFit community here has made her happy to call it home. Personal nutrition was not always at the top of her priorities list and not until pushing her body to the limit in CrossFit, did she start to see the critical role that nutrition plays in an athlete’s performance. She hired a fitness coach to help her and by changing a few simple things in her everyday routine, she successfully lost over 50 pounds, but more importantly, she felt healthier and improved her overall fitness while doing it. She now has a healthy relationship with her body and her food and wants to share this new-found love with as many people as she can!